I got this recipe from a Tamil cookery book. 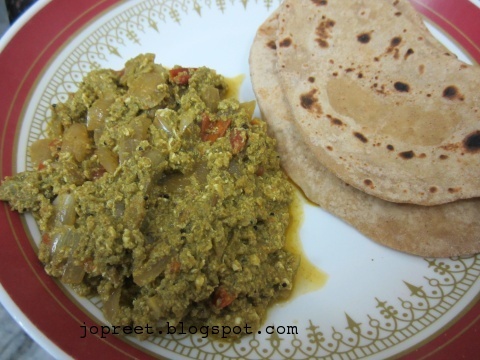 Dont add more methi leaves, or else it will be too much sour in taste. 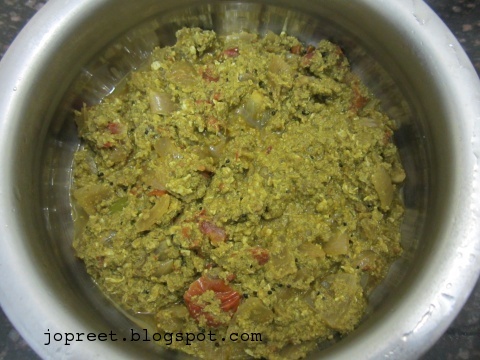 Grind mint, methi leaves, coriander leaves and green chilies to smooth paste. 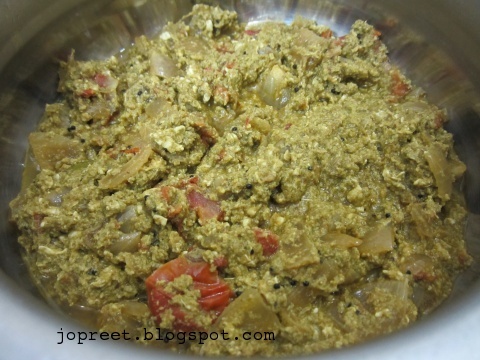 Heat oil in a wok or kadhai and temper mustard seeds. Add fennel seeds and chopped onions. Saute a while and add ginger-garlic paste. Add chopped tomatoes and mash it. Add green paste, turmeric powder, chili powder, coriander powder, dried mango powder and salt to taste. Add water if needed. Cook it covered for 10 mins till the raw smell goes. Break the eggs and drop in the curry. Stir the curry till the eggs are completely scrambled. Cook for another 5-10 mins and remove from the heat. Serve hot with chapati or poori. First time I seen this recipe. Very new to me. Lovely recipe. Thanks Preeti. Hello I am looking for a recipe with veggies like carrots , potatoes, brinjal, Lady fingers only but without tomato and coconut. Hello Girija, pls check Veg Recipes page for the recipes list..